Every person has a responsibility to contribute what they can to society. But in order to do that, people need to be given the necessary tools. 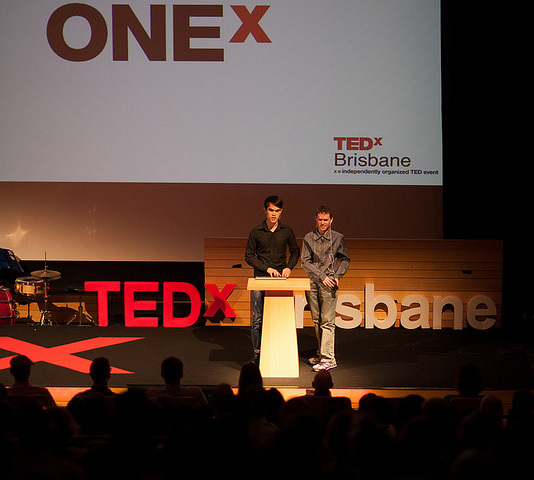 This was one of the messages shared by NV Access co-founders Michael Curran and James Teh when they recently spoke at TEDx Brisbane 2013. “If you, your community, or people you care about are facing an obstacle, try solving it yourselves… Everything has to start somewhere. It’s a great challenge and sets a great example of empowerment for the community,” Michael said. Michael himself was inspired to start the free, open source screen reader NVDA (NonVisual Desktop Access) in 2006 when he was working in blindness advocacy and felt that such a product would greatly improve the lives of blind and vision impaired people. “I had modest programming experience, but did believe that someone’s got to start this project some time,” he told the audience. James explained that it is an ongoing struggle to find funding to continue work on NVDA. Michael said that although the model of free software makes financial sustainability difficult, he believes that you need to stick to your principles. By making NVDA free, it has been as widely available as possible, which has been vital to the product’s impact and success. And by having community input via the “open source” software model, there has been innovation with NVDA that Michael and James alone would not have been able to achieve.